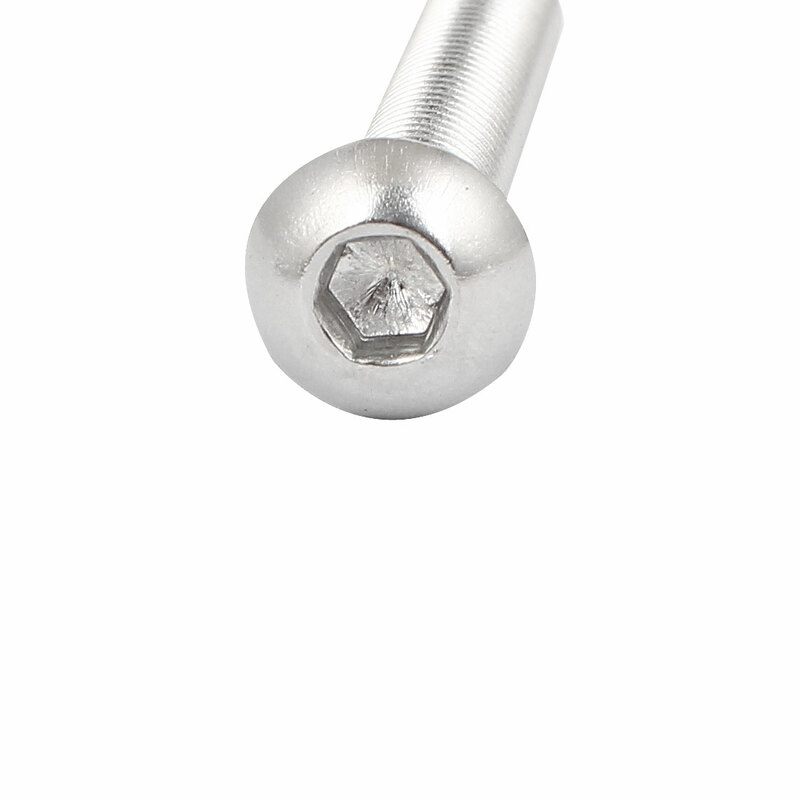 Features: 1.25mm pitch, 14mm head diameter, M8?x 55mm button head socket cap screw bolts. Designed with hex socket head and stainless steel material. Used widely in the home,office appliance, communication equipments, ship assembly and other machinery industry. Main Color: Silver Tone; Thread Pitch: 1.25mm; Hex Socket Diameter: 6mm/0.24"
Head Size: 14 x 4mm/0.6" x 0.16"(D*T); Thread Length: 55mm/2.2"